Our Company manufactures rubber wheels and rolls for calibrating machines, gluing machines, moulders. 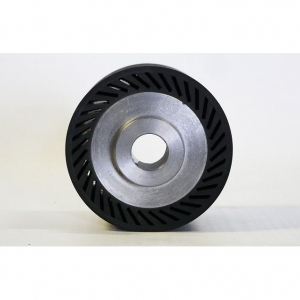 Silicon material for hot stamping, small bearing wheels. 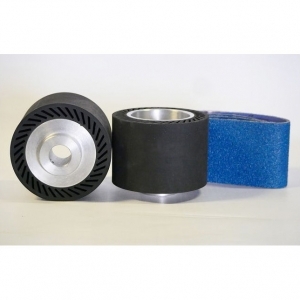 Contact wheels and rolls for grinding shaped wheels for any kind of feeding process. 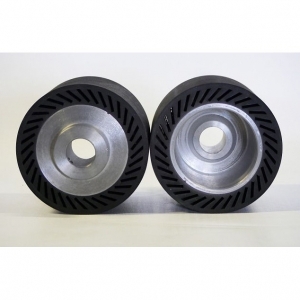 Our expanding rubber wheels can grant the high performance of the endless belt. The right choice of belt and wheel increase the working performance.